Ultimately, the goal for us here at The Home Gym is to help folks learn how to exercise from home more effectively. We discuss a lot of different stuff here, but that’s what it really boils down to. Working out from home is completely different than exercising at your local gym and I feel it takes a different skill set. We have to learn how to do it right. I’m hoping this article will help you achieve that goal. Why Exercise From Home Anyway? I had to make the switch from a commercial gym to exercising at home a few years ago when kids entered the mix. It was just too time consuming to get to the gym on a regular basis. And lets face it, if I did have the time I was usually way too tired to workout anyway. That’s when I started gradually putting my own home gym together. I’ve added pieces over the years, but I started with a few dumbbells and a pull up bar. I don’t like to lie to my readers, so I will admit exercising from home gets stale. I often miss having all the cardio machines, free weights, and option to use all the different equipment. Not to mention the motivation you get from all the thumping music and seeing other people workout. Even if you don’t know anybody there, I feel like there’s a certain camaraderie between people exercising together at the same gym. If you’re running beside someone on the treadmill, you can create a little friendly competition for added motivation… even if they don’t know they’re in the middle of a race. We lose all of that with the home gym. Exercising at home is often a solitary experience. Maybe you are lucky enough to workout with a spouse or family member, but we can all agree the experience is quite different. But there are plenty of perks too. Once you create your gym, there is no monthly fee. There is also no waiting in line to use a piece of equipment. Did I mention you can play any music you want? You can also access your gym anytime you wish, it’s open 24/7. Last, but certainly not least… there’s no commute! This is a huge one for me, since I live in the country. Even though I do miss the commercial gym experience occasionally, I love the perks that come with working out in my home. But like I mentioned earlier, working out from home can get boring. It can be hard to stay motivated and even harder to switch up your routine regularly enough to keep making those gains. And that is why I wanted to write this post. I wanted to offer a few tips to help you get the most out of your home workouts. It doesn’t matter what your home gym consists of. Whether you have dumbbells, a treadmill, a home gym machine or some combination of equipment. It doesn’t matter if your home gym is a 5′ x 5′ space of empty floor in your attic. What matters is that you have a plan of what you are going to do before you enter your workout space. This is my biggest problem. I wake up early in the morning (PS I hate working out in the morning), I walk upstairs to the attic, and I just sit there staring at my dumbbells. I have to think about what I’m doing today and then find the motivation to start doing it. I end up wasting time and getting a lack-luster workout. Know what you are going to do ahead of time. If it’s a lifting day, know exactly what exercises you are doing including how many reps/sets for each one. If it’s a cardio day, know how long your workout is going to be and what type of workout it will be: intervals, circuits, etc. Even if you are just going to jump on a stationary bike and ride, you should know how long you are riding and what program you are going to do. Trust me, it will save you time and you will have a much better workout. This is a big one. Too many of us do the same routine, week in and week out. Our bodies get used to the stress we put it under and our bodies are smart- they adapt. Our bodies getter better and more efficient at doing these tasks and guess what, we stop getting stronger or burning as many calories. To combat this, you should change your routine regularly. I would say at least every 4-6 weeks. This is fairly easy to do if lifting weights is your primary mode of exercise. 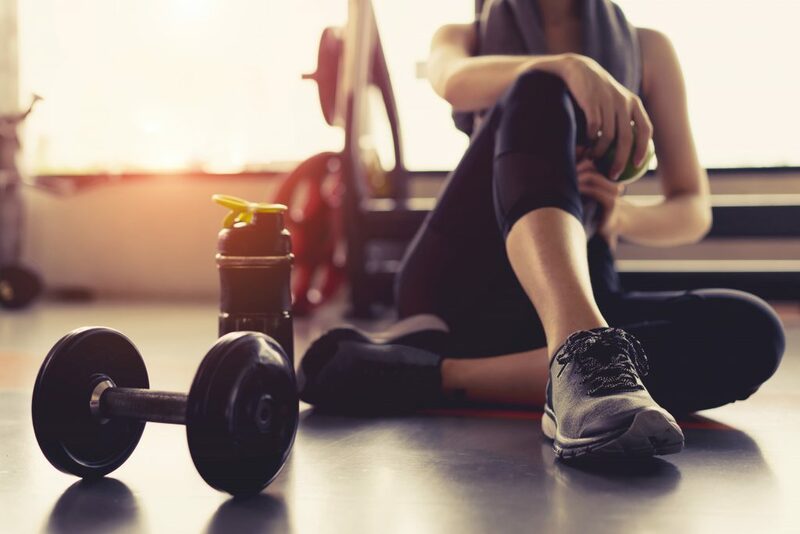 There are a million different workout routines out there and you can simply change the exercises your performing or change the splits regularly. Cardio machines give us a lot of options too. Depending on your machine, you may have anywhere from 8-30 different pre-programmed workouts included. You could simply do a different routine every week. Or why not make your own workouts? Play with intervals and times. Keep it fresh and different and you will notice more improvements. It will also keep your workouts more interesting. If you’re doing bodyweight exercises you can still easily change what you’re doing. Mix things up with circuits. Play with hand positions on push ups and pull ups. Play with reps and sets. Making goals gives you motivation and makes you accountable for what you’re doing. A lot of life coaches will tell you to write your goals down because it makes it real and you feel more obliged to work toward it. Makes sense, but I don’t care if you write your goals down or not. Just have something to work toward because it will make exercising more rewarding. And weight loss doesn’t always have to be the goal. The goal can be anything. It could be to work up to doing 100 push ups (actually thats a good one). Or 10 pull ups. Or to workout 5 days a week. How about riding 30 miles/wk on your stationary bike? Point is it doesn’t matter what your goal is, just matters that you make them to keep you motivated. Also makes it more fun. You may want to write your progress down to keep track of how you are doing. No, this tip isn’t a joke. Exercising from home can be fun, and should be. I like to listen to music while I lift weights. I have a little stereo in the attic and that makes working out more enjoyable for me. You may prefer watching tv while you work out- great, maybe you can put a tv somewhere in sight while walking on your treadmill. Just be careful there isn’t a comfortable couch nearby. I’ve never tried this, but you could even get some of those dancing video games and consider that a workout. Some of them are pretty good I hear and can really burn some calories. This might sound like a silly one, but it’s not. Snacking correctly can significantly effect your workout. Your eating habits should reflect your workout goals. For example, if I am trying to lose weight, I might jump on my spin bike without eating anything before. Doing cardio on an empty stomach can help you burn more fat, especially first thing in the morning. However, if I am planning on an intense lifting session, I need to eat something beforehand to give me the energy necessary for the workout. Carbs are really what I need for that energy, but don’t over do it. A banana is a great pre-workout snack because it has a lot of natural sugars that our body can process rapidly for energy and it only packs about 100 calories. Eating after your workout is also important for recovery. Depending on the timing of your workout, this might be a main meal or a protein shake. Don’t forget to stay hydrated during your workout too. Keep a water bottle nearby so you can conveniently drink while you exercise. You don’t want to be running to the kitchen in the middle of your workout. Smart snacking can give you more energy while you exercise and help you get a better workout. There ya have it. If you can make a plan, keep the workouts fresh, challenge yourself, keep it fun, and eat smarter you are well on your way to exercising more effectively. Working out from home has a lot of perks, but we have to make sure we are doing it correctly. If we get lazy, our workouts will suffer and we will stop reaching our goals. I hope you found this article helpful. If you have any questions or comments, leave them below and I’ll get right back to you. The Marcy Diamond Elite Smith System- The Best Home Gym Machine Under $1000?